The police officer who shot Walter Scott radioed in to claim that Scott had “grabbed my Taser”, six seconds after firing his final shot, despite video suggesting the unarmed man was not in possession of the stun gun at any point, a Guardian analysis has shown. Syncing police scanner audio with a shocking video –- the eyewitness footage out of South Carolina which led to officer Michael Slager being charged with murder –- raises further questions about whether either of two officers on the video performed any CPR on Scott as was previously claimed by police. Analysis of the police radio shows Slager, the officer who shot at Scott eight times, making the radio call announcing the shots and alleging the Taser seizure, sounding frantic and breathless at the same time as he walks slowly towards Scott’s body. “Shots fired. Subject is down. 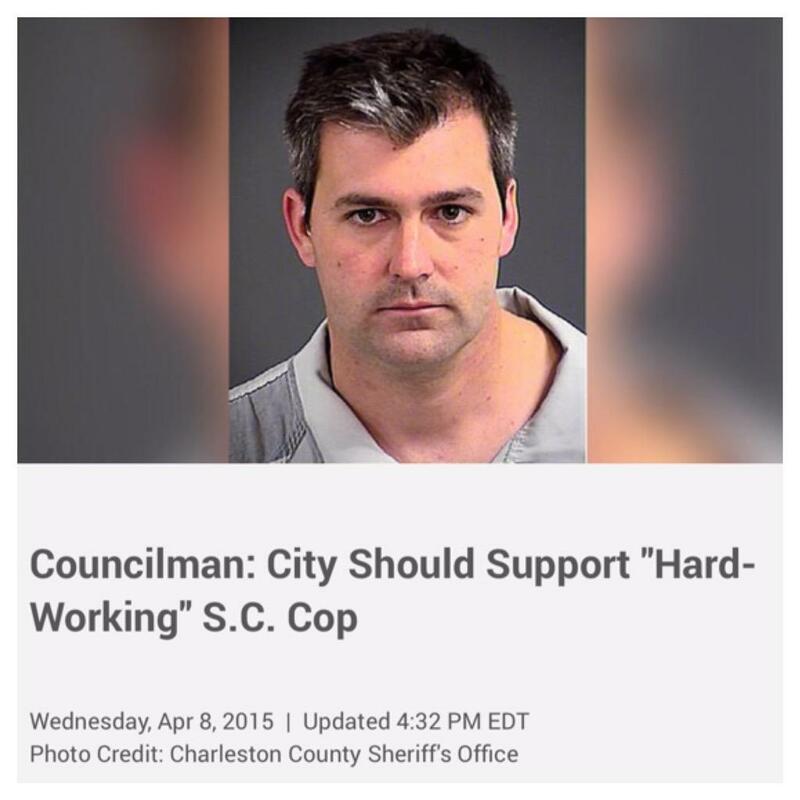 He grabbed my Taser,” the scanner audio from Slager states. He reaches the body, handcuffs Scott who has his head down to the floor and walks back to the area where it appears an object was dropped and picks up an item from the ground. At this point a second officer, now identified as Clarence Habersham, arrives on the scene and radios in. Slager then walks back towards the body and radios in stating: “I need to secure my vehicle”. At this point –- over a minute after the last shot is fired -– neither officer appears to have performed CPR on Scott. Slager then walks and drops the item, which some have speculated is a Taser, next to Scott’s body. At this point Habersham radios in to say he has detected gunshots to Scott’s chest on the right side. He then radios to say he has detected a gunshot wound to the buttocks. He appears to be pulling Scott’s T-shirt up at this point. At a press conference on Wednesday North Charleston police chief Eddie Driggers said after watching the video he believed an officer had lifted Scott’s T-shirt to perform “some sort of life-saving procedure”. But analysis of the video and audio suggests Habersham is actually identifying the gunshot wounds rather than performing any such procedure. 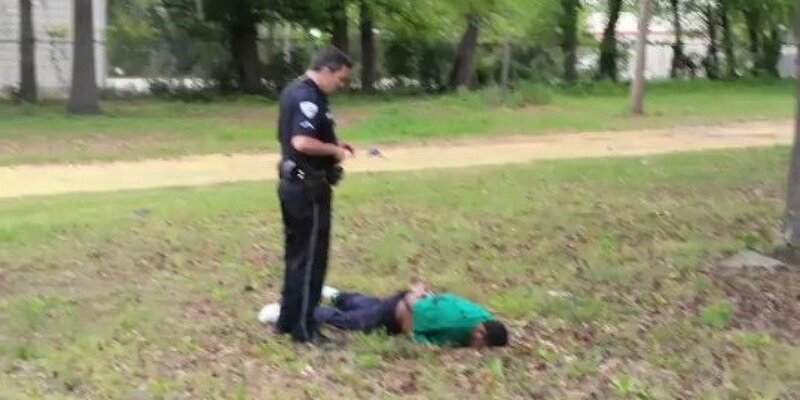 At the end of the video, over two minutes after the last shot is fired, Slager stands over Scott’s body and takes a pulse. The combination of the video and audio footage shows that the encounter between Slager and Scott started about four and a half minutes before the scenes now seen on televisions around the world. As Slager began stopping Scott at the intersection of Remount Road and Craig Road at about 9.35am, he radioed the dispatcher to say he was “coming up on a grey ... Mercedes”. Exactly three minutes later, Slager radioed again to announce he was chasing on foot down Craig, giving his dispatcher a basic description of Scott. “Black male, green shirt, blue pants,” he said. 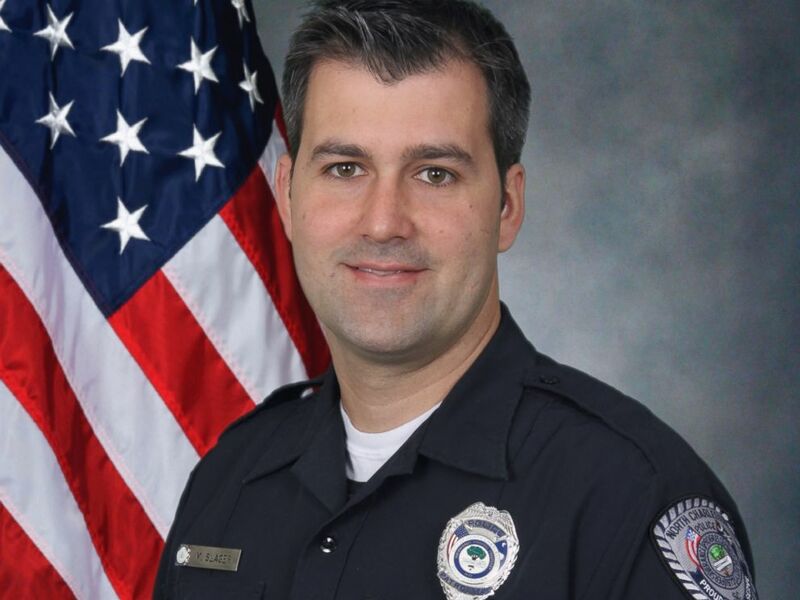 The dispatcher had asked all officers to ensure radio silence for matters apart from the Slager-Scott chase. Feidin Santana, a bystander who filmed the shooting on his cellphone, told NBC on Wednesday evening that the pair were struggling on the ground before he began recording. Just three seconds later -– at 9.38am, almost five minutes after Slager announced that he was stopping Scott in his car –- Slager was back on the radio. 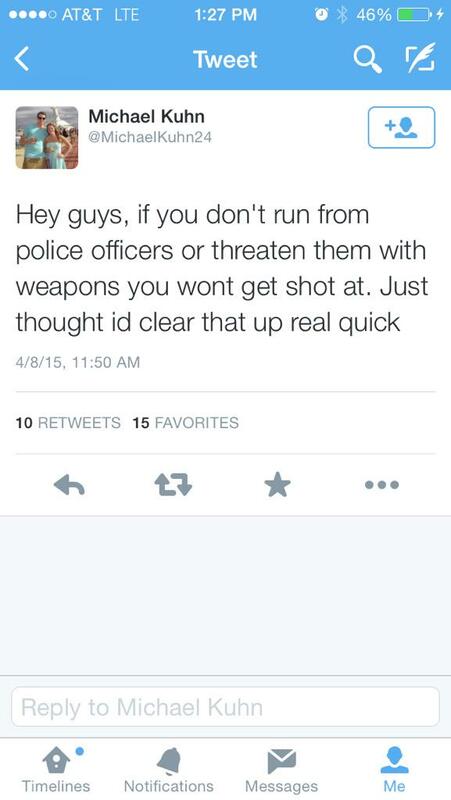 “223, shots fired,” he said. 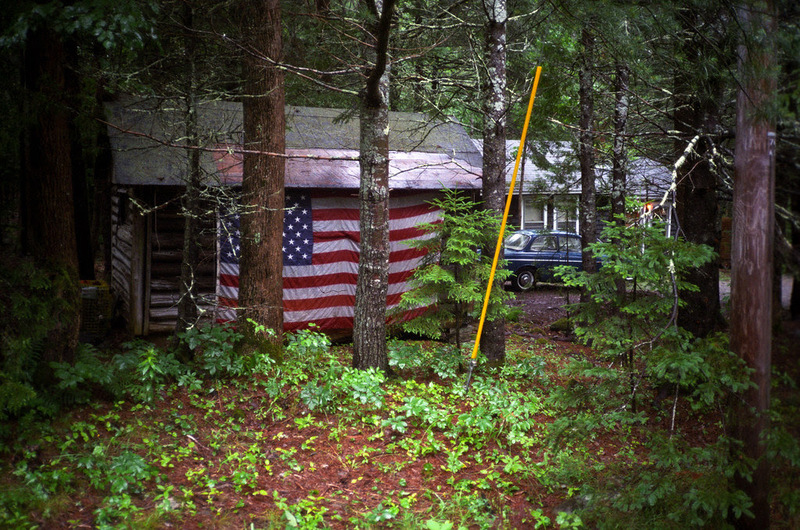 Robert Creeley: America: "Give back / what we are..."
Tom, these images are a visible form of the violence but I wonder if there isn't another story of structural violence that goes under the radar because it is invisible: the incarceration of so many black Americans? Just asking. 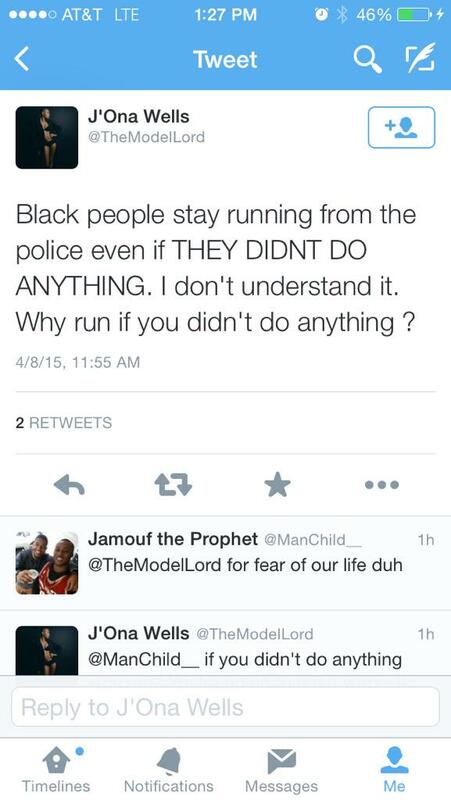 Yes, of course, and that's exactly why the man was running away, after a "routine traffic stop". He knew the score. The cell phone was what's called "an accidental". billoo, as to the issue of blacks and incarceration, for some years now there has been a very clear and articulate voice from within the prison system, Mumia Abu-Jamal, a 60-year-old Black Panther doing life on a murder conviction. He has been outspoken on many issues and that's been annoying to some authorities; just lately it's been charged that he is being killed by "medical neglect" while incarcerated. Last week he was in a prison hospital, now is back in the general prison population, and, it seems, not doing well at all. 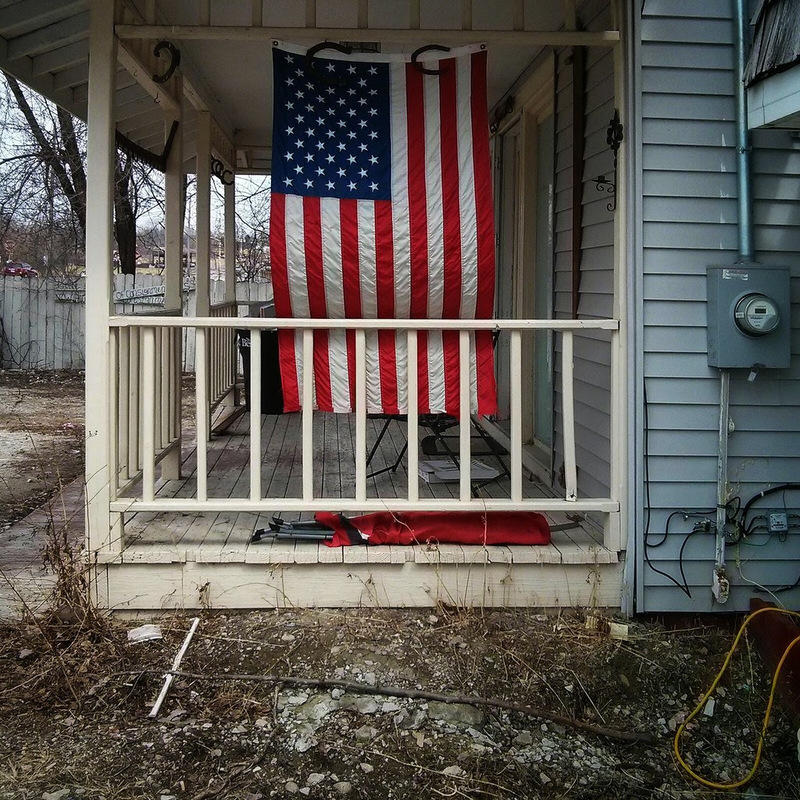 It seems to me the problem of "Medical Neglect" affects every one of the have-nots in the US. There's a story still to be told: the resistance of the Black Panthers and the government's nefarious reaction. "Do you know who I blame for what has happened to me the last 25 years, and before to my ancestors? I would be narrow-minded indeed if I blamed any of you, my folks. I don’t blame you for not teaching me how to get what I wanted without getting put in jail, nor do I blame myself. I was born knowing nothing and am a product of my total surroundings. I blame the capitalistic dog, the imperialistic, cave-dwelling brute that kidnapped us, pulled the rug from under us, made us a caste within his society with no vertical economic mobility. As soon as all this became clear to me and I developed the nerve to admit it to myself, that we were defeated in war and are now captives, slaves or actually that we inherited a neoslave existence, I immediately became relaxed, always expecting the worst, and started working on the remedy". The George Jackson quote speaks directly to billoo's point about the larger issues at stake here. When crime began rising more than a decade ago in North Charleston, S.C., police successfully stepped up their campaigns to enforce the law. But that effort came with a price as police took an increasingly hard line that resulted in black drivers being pulled over twice as often as whites in recent years, statistics show. 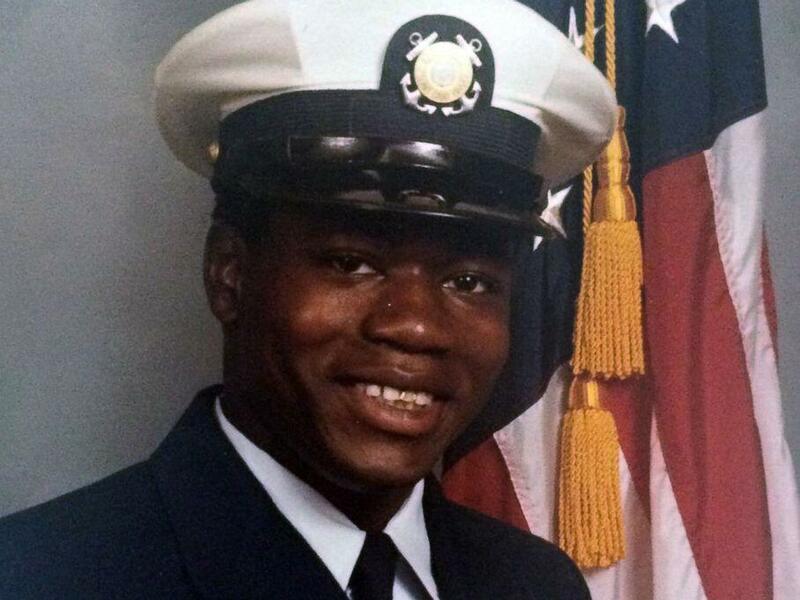 It was a traffic stop involving a broken taillight on Saturday that ended in the death of Walter L. Scott, an unarmed black man, shot by Michael T. Slager, a white police officer. 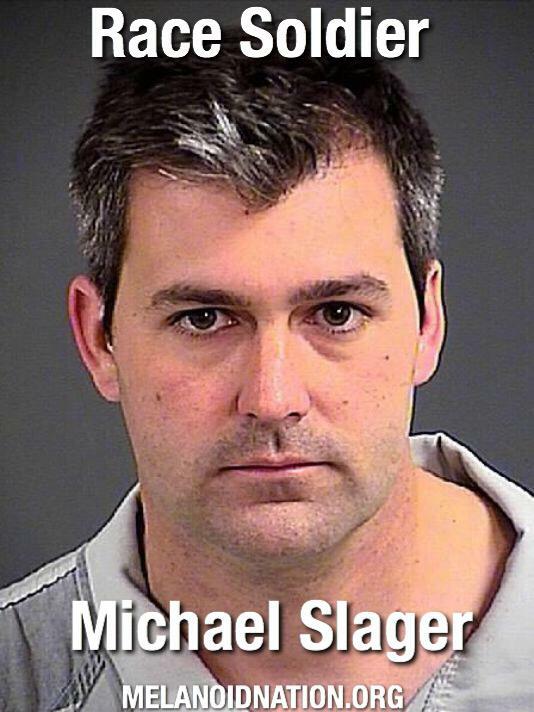 Slager, who was fired from the force, is being held without bail on a charge of murder. It is a sentiment that many community and civil rights leaders have loudly espoused in recent days. The North Charleston Police Department, they contend, has engaged in a "culture of over-policing" that has led to numerous excessive force complaints and racial profiling, according to the Rev. Thomas Dixon, an African American community organizer in North Charleston. “If you fit the profile, you are going to be pulled over,” Dixon said in an interview Thursday. Calls to the mayor’s office and the Police Department were not returned, but state statistics paint a grim picture. From July 2007 to February 2015, North Charleston police pulled over 128,838 black drivers without issuing a citation or recording an arrest. They pulled over 64,236 white motorists, nearly half as many, under the same circumstances during that time frame, according to data collected by the South Carolina Department of Public Safety. From 2008 to 2014, North Charleston police officers pulled over more black men annually than they did white men and women combined, according to the numbers. In 2011, there were 14,282 cases in which police stopped a male black motorist, but did not issue a summons or arrest the driver. Nearly 12,000 white motorists, men and women combined, were pulled over under the same circumstances that year. Only 47% of North Charleston's residents are black, according to census data, but more than 80% of the city’s police officers are white. By comparison, the racial disparity is far lower in Columbia, S.C. Although blacks are still stopped more often than whites, according to the same publicly available data, it’s not even close to double. Columbia police stopped 26,505 blacks from July 2007 to Feb. 2015 without issuing a citation or recording an arrest, compared with 19,127 whites. They also, make far fewer fruitless stops than North Charleston police do. Census data shows Columbia is 51% white, 42% black. Dunn described the neighborhoods where police ramped up the traffic stops in response to the crime surge -- Cherokee, Chicora, Accabee and Liberty Hill -- as predominantly black communities. Dixon said he and other civil rights leaders have met several times with top police officials to complain about what they say is mistreatment of African Americans. Each time, he said, they were assured that police would address the issue. 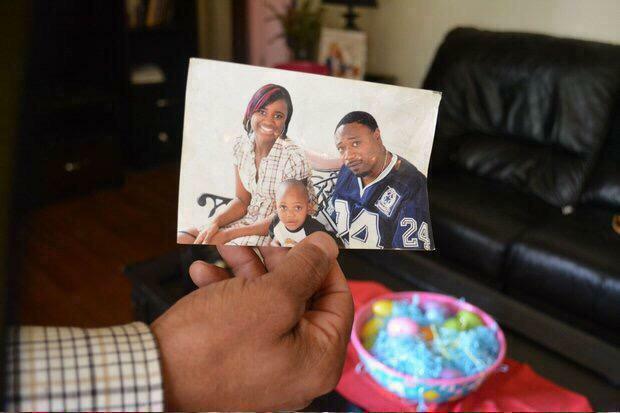 “That's the last thing you hear: 'We’ll look into it and get back to you,'“ Dixon said. “And then nothing changes." Edward Bryant III, president of the local chapter of the NAACP, said police profiling of African Americans in North Charleston intensified as the crime rate rose in the early 2000s. Especially galling is the traffic stop. 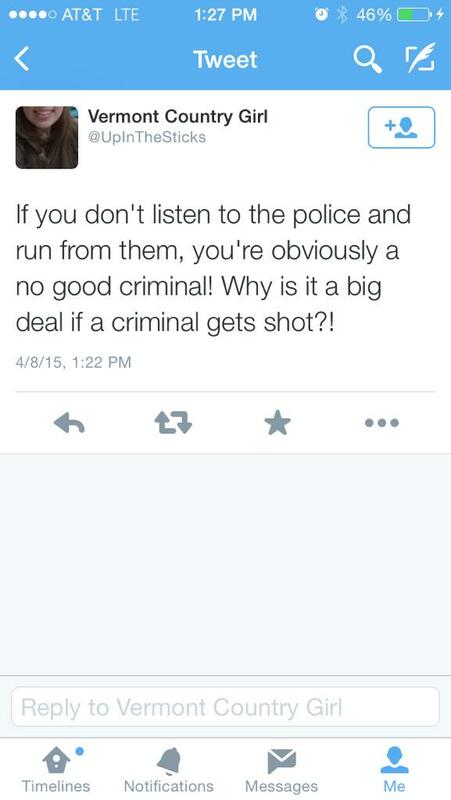 “No black man is safe in North Charleston,” Bryant said. The video of the Scott shooting is one example, he said, of a disregard among some police officers for the rights of African Americans. The video shows that, as Scott lay on the ground immediately after the shooting, Slager made no attempt to assist the mortally wounded man. Bryant accused Slager of planting his Taser stun gun next to Scott’s body to buttress his account of the shooting. The officer told a dispatcher, “He took my Taser,’’ referring to Scott, according to the North Charleston Police Department incident report. The video, however, shows Slager retrieving an object from the spot where Scott had broken away from him, then dropping the object next to Scott’s body. Scott’s relatives, their lawyers and civil rights leaders allege that the object was a Taser. Bryant said he and other civil rights leaders have organized forums in recent years in which black citizens spoke to police about their complaints. But he contends that neither the forums, nor several meetings with police commanders, have changed police behavior. After the NAACP helped organize an economic boycott of the state in 2000, the Legislature removed the Confederate flag from the top of the statehouse dome. In a compromise, a Confederate flag was flown on the statehouse grounds as part of a monument to fallen Confederate soldiers. “If this state wants better relations with the African American community, they can start by taking down that cotton-picking flag,” Bryant said. "...a caste within this society with no vertical economic mobility..."
That is the structural flaw. 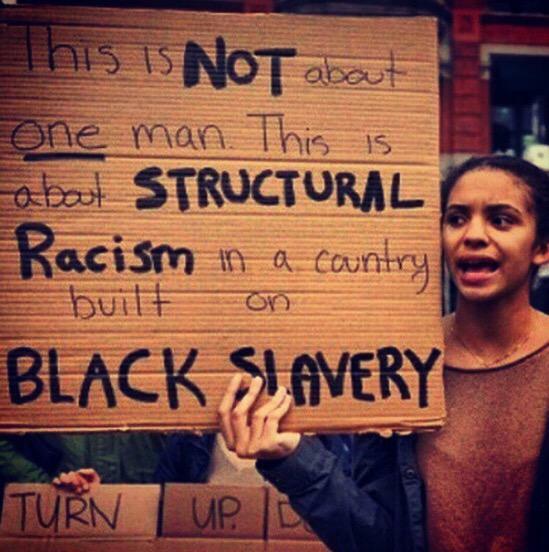 Economic oppression of a racial underclass. And to exacerbate matters, the South is still the South. A slaveowners' culture, economically stratified along race lines, with that cotton pickin' flag still flying on the statehouse grounds. White people in this country don't like talking sensibly about these things, for good reason. Today's Wall Street Journal front page has a photo of two grossly obese white men, great mounds of starch and pork fat the both of them (good old boys), one, North Charleston mayor Keith Summey, striking a sort of prayerful pose over a CNN microphone, the other, North Charleston police chief Eddie Driggers, looking on balefully with hands folded, again in a pathetic mockery of the physical attitude of one at prayer, under the headline: North Charleston City Leaders Move To Tamp Down Racial Tensions. Alongside the picture there is a story... headed "Rising Optimism Fuels Rebound". "Takeovers booming as companies gain more confidence about the economy, use stockpiles of cash to reach for future growth and get boosts from low interest rates and the booming stock market..."
American Triumphalism has become so engrossed with itself that there's simply no room for American shame (supposing any exists). Despite the video the cop may get off. A conviction is not a slam dunk. Hilton, I take it the likelihood of that outcome was probably only slightly complicated by the video. The police always seem to find a way to come out of even their worst debacles looking as pure and blameless as, what, driven snow? The announcement by the racist police that they have received a grant to install hundreds of body cameras was greeted at the press conference by great applause, as though the restless ghosts of all those lynched and shot, down through the years, would now be assuaged, and lie quiet at last. My own sense of the matter, which I was interested to find converging with the cautionary statements out of the ACLU, on this issue of police body cameras, was that -- as I heard an ACLU spokesperson say today -- the police are entitled to be seeing you "at the worst moments in your life". And as the ACLU person really didn't have to add, but did -- "do you really want to be recorded on video in those moments, without your consent?" Technology in the hands of any Master Race will always be serving its users. That's the meaning of technology, as I understand it. Quite honestly, in the unlikely event that video had been made -- as an act of conscience as in fact it was -- by a white person, my guess would be that the police would have asked to have it handed over to them, to do with as, in their infinite wisdom, they saw fit; and had their request complied with, more or less automatically. I saw a think-piece today (not from the US, of course, we don't do thought here) which posed the question, "Why Do American Whites Still Trust Cops?" 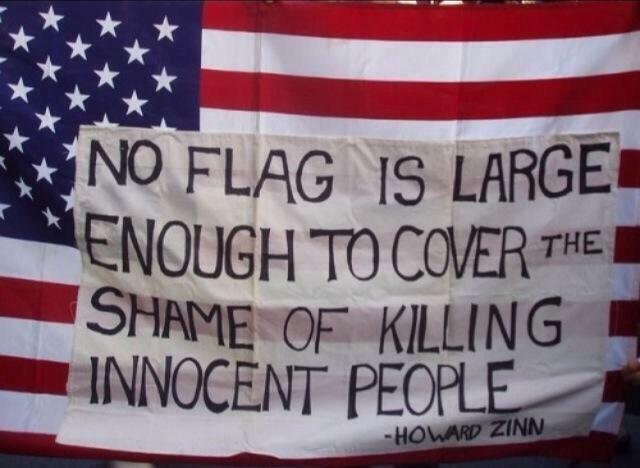 It was an accident that the murder and its cover-up were caught on video, a further accident but much less surprising that the capture was not made by a white person, and a tribute to humanity that the man who made the video, walking to work as he was, elected to hand it over not to the murderers but to the family of the victim. He explained that if he were that family, he'd want that video. But will justice be granted anything more than lip service, once the wheels of John Law, Southern Country Breakfast version, begin their inexorable rusty turning, y'all? Many questions remain about what happened on Saturday when Officer Slager pulled Scott over for what police have said was a broken taillight. In the police report that CNN obtained, a responding officer said that Slager said that at one point he started to chase Scott down a street. 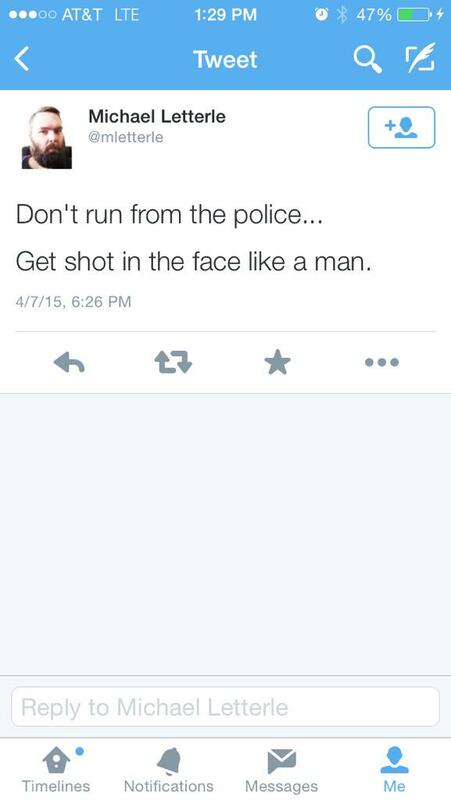 "Shots fired and the subject is down," the officer writes that Slager said. "He took my Taser." But a witness who shot cell phone video of the incident says he never saw Scott try to get Slager's Taser. Feidin Santana was walking to work when he saw Slager and Scott struggle on the ground, he told NBC's Lester Holt on Wednesday. Santana then took out his phone and started recording video. "I remember the police (officer) had control of the situation. He had control of Scott," Santana said. Then, Santana said, he heard the sound of a Taser. It seemed to Santana that Scott was trying to get away and avoid being zapped with the Taser again. On Thursday, a second witness spoke to CNN about what she saw. Gwen Nichols said she was in the neighborhood when she heard police cars speeding by and, curious, she followed them. She saw Scott and Slager at the entrance to a vacant lot. "It was like a tussle type of thing, like, you know, like, 'What do you want?' or 'What did I do?' type of thing," said Nichols, who said she has not yet talked to police about what she saw. "I didn't hear Mr. Slager saying: 'Stop!'" she said. Feidin showed the video to the Scott family. But Santana has said fear for his own life almost kept him from revealing the tape. In interviews with MSNBC and NBC, Santana recalled the moments when he recorded the video. "I ... thought about erasing the video," Santana told MSNBC's "All in With Chris Hayes" in an interview that aired Wednesday evening. "I felt that my life, with this information, might be in danger." The video shows Slager shooting eight times at Scott as Scott runs away. An autopsy showed that Scott suffered multiple gunshot wounds to the back of his body. Before the officer starts firing his gun in the video, a dark object falls behind him and hits the ground. It's not clear whether that is the Taser. Later in the video, when the officer approaches Scott's body, he drops a dark object next to the man. 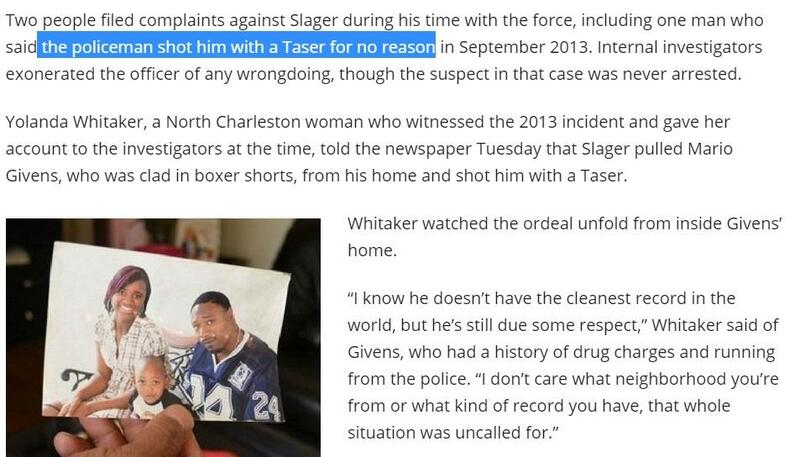 It's also not clear whether that is the Taser. It's unknown whether Scott took the officer's Taser or whether the officer picked the object up and moved it closer to the body. Asked how he felt about Slager being charged with murder, Santana answered that "no one can feel happy." "He has his family, and Mr. Scott also has his family," he told Holt. "But I think, you know, he made a bad decision. ... Mr. Scott didn't deserve this. And there were other ways that can be used to get him arrested. And that wasn't the proper way to do that." An autopsy of Scott showed that he "sustained multiple gunshot wounds to the back of his body," and his death was the result of a homicide, the Charleston County Coroner's Office said. When Scott's brother Anthony saw the video, he was convinced Slager's account of what happened was not true, he told CNN. "There was not a struggle for the Taser," Anthony Scott said. "I didn't believe my brother would have done that anyway." To Anthony Scott, the videotape shows his brother was "running for his life" away from the officer. "I think my brother was thinking he was not going to be shot, no one would have thought that," Scott said. Vermont Country Girl drills rhetorical question theory full of holes-- “Why is it a big deal if a criminal gets shot?” Bang-bang, you’re dead-on, girl—shoot first and ask the dead person if he was a criminal later. She's some cookie, that Vermont Country Girl. And I believe her sentiments, as expressed here, represent what would be called a Significant School of Thought, here in Murica, if, that is, massive cultural retardation had schools, or thought.